I am seeking any and all personal and official accounts of No. 205's operations at Seletar, briefly at Oosthaven, Sumatra, then from Tjilatjap, Java, part of the time at Tjilatjap basing on USS CHILDS (AVD 1). FV-N and FV-W flew out of the Indies to Broome and were destroyed there 3 March 1942. I have fragments, including Lucky Alex, the story of Squadron Leader Alex Jardine, a Canadian, but I think there must be more materials out there somewhere. Ideas, anyone? Certainly in the literature in the UK there might be some veterans' accounts. from Seletar up until replaced with PBY 5's. I have some info on 205 Sqn. My dad was on board Catalina F V-Z on Christmas Eve 1941 when it left Seletar on a convoy search mission with F V-X . F V-X returned to base; F V-Z was attacked at 0715 on Christmas morning. Another Catalina ( F V-W ) made a search of the approximate area where the attack had taken place, located the crew in the water and dropped supplies - including a dinghy and food. The survivors were rescued that evening by a Dutch sub and returned to the Staites of Johore, and then on to Seletar. 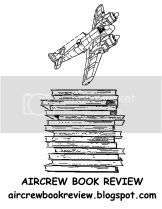 I have details of the crews of all three aircraft and my father's personal account of the experience. There's a good account of the Catalinas at Broome in the following (review from my site which includes a link to the author's website) -http://aircrewbookreview.blogspot.com/2011/07/zero-hour-in-broome-dr-tom-lewis-peter_10.html - although it probably only amounts to a couple of pages directly referring to the RAF aircraft. Otherwise, a good analysis of the attack itself and what the No. 205 Sqn chaps would have experienced.